Community Justice Scotland seeks to ensure that the information published on its website is up to date and accurate. However, the information on the website does not constitute legal or professional advice and Community Justice Scotland cannot accept any liability for actions arising from its use. Community Justice Scotland cannot be held responsible for the contents of any pages referenced by an external link. Community Justice Scotland is the sole owner of the information collected on its websites. 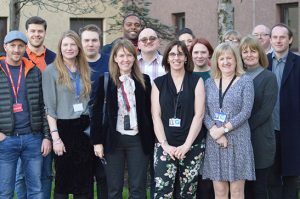 Community Justice Scotland processes personal data for the purposes of aiding the organisations work with their justice partners, to benefit the people of Scotland. A user does not have to register to use the Community Justice Scotland website, but a user must register if they wish to receive information about Community Justice Scotland via email. The registration information we require to allow a user to register is the users email address only. This information is stored securely on our database until such time as a user chooses to unsubscribe from receiving notifications. Users who no longer wish to receive our notifications may opt-out of receiving these communications by clicking unsubscribe option on any email communication received or the user may contact us to opt-out directly. We partner with other third parties to provide specific services. For example database development, push mobile technology and hosting. When the user signs up for these particular services, we share email addresses with the third party service providers so that the third party can supply these services. These third parties are not allowed to use personally identifiable information except for the purpose of providing these services. If a user’s personally identifiable information changes (such as email), we provide a way to correct, update or delete/deactivate users’ personally identifiable information. This can be done by contacting us by email or phone. When users enter the Community Justice Scotland website their computers will automatically be issued with ‘cookies’. Cookies are text files which identify users’ computers to the Community Justice Scotland’s server. The website then creates ‘session’ cookies to store some of the preferences of users moving around the website, e.g. retaining a text-only preference. Cookies in themselves do not identify individual users but identify only the computer used. Community Justice Scotland session cookies are deleted on departure from the website. However, those from third parties may persist. 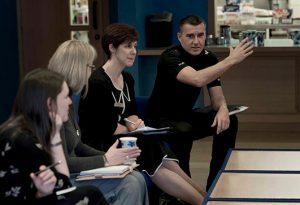 We will read all direct messages and ensure that any emerging themes or helpful suggestions are passed to the relevant people in Community Justice Scotland. We will also keep an eye on replies and respond if appropriate. Individuals are personally liable for the comments they submit. Email addresses will not be displayed. This website contains links to other sites. Please be aware that we, Community Justice Scotland, are not responsible for the privacy practices of such other sites. We encourage our users to be aware when they leave our site and to read the privacy statements of each and every website that collects personally identifiable information. This privacy statement applies solely to information collected by this website.